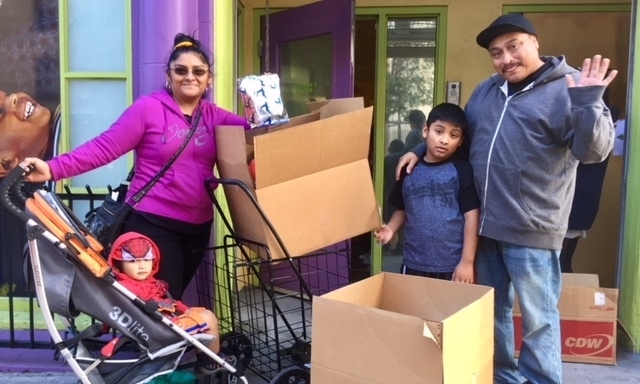 Help end family homelessness in San Francisco. At Compass Family Services, we’re passionate about helping homeless and at-risk families become stably housed, emotionally and physically healthy, and economically self-sufficient. Compass provides a full range of support services to move families towards long-term housing. Compass specializes in one-to-one, customized engagements that lead to lasting, positive outcomes. Compass makes a tangible difference with proven, goal driven programs. "Twitter NeighborNest gave me the opportunity to learn more about computer coding and the ability to participate and compete where I'm best suited." "Compass has been a remarkable program. I am thankful that I have been a part of this program... What I like about this program was that I was able to give me and my son stable housing and help with other resources when I need it."